Born: June 5, 1912, in Chicago. Moved to Florida in 1963. 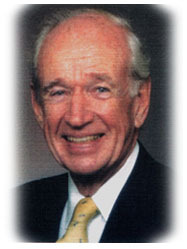 Education: Graduated from the University of Chicago in 1932.
Business: Founded Tractor Supply Co., a nationwide farm implement retail chain, built a 27-bank holding company he later sold to Bank of America, and is founder of the Schmidt Family Foundation. Philantropy Donated millions of dollars to Florida Atlantic University, the City of Boca Raton, University of Chicago, Boca Raton Community Hospital and others. Died: May 1, 1996 at the age of 83. The Charles E. Schmidt Biomedical Science Center at Florida Atlantic University on the Boca Raton campus is a world-class center of medical and scientific education. The 90,000 square-foot facility houses classrooms and research laboratories as well as a graduate teaching center for training physicians and other doctoral level students in the sciences. In 2009 FAU and Scripps Florida formalized a partnership for an M.D. degree to be conferred by FAU and a Ph.D. degree to be conferred by the Scripps Research Institute’s Kellogg School of Science and Technology. 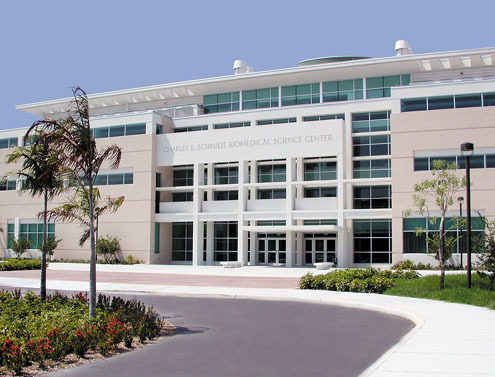 On June 23, 2010, the FAU Board of Trustees officially renamed the Charles E. Schmidt College of Biomedical Science Center to the Charles E. Schmidt College of Medicine. FAU’s new medical school will recruit and educate a diverse student population who will live, work and serve in our communities. Copyright © 2019 Schmidt Family Foundation. All rights reserved.